The Greek PM underlined that if there any references in the FYROM Constitution that will leave room for future irredentist interpretations the agreement will not pass. “Skopje is obliged to comply with the spirit and the letter of the accord. 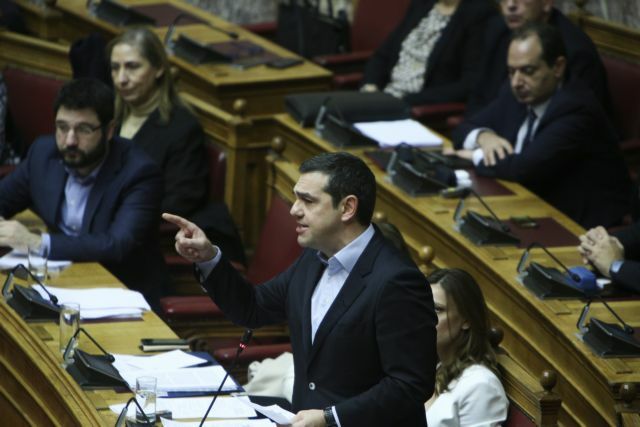 We have stated to them and everyone that if this does not happen, the agreement will not be go forward, nor will the country’s admission to international organisations,” Tsipras told parliament today, amid fierce opposition criticism of his handling of talks and the resulting agreement. “We are awaiting and paying close attention to the completion of the constitutional amendments process and we have sent messages where necessary, and not in public debate for reasons of sensationalism,” the PM declared. He underlined that if there any references that will leave room for future irredentism the agreement will not pass. The PM’s remarks were widely viewed as a bid to calm the public and MPs who were positive about ratifying the accord but expressed second thoughts (To Potami party)after Zaev’s statements, which opened a window for the recognition of a “[Slavo]Macedonian minority” in Greece.